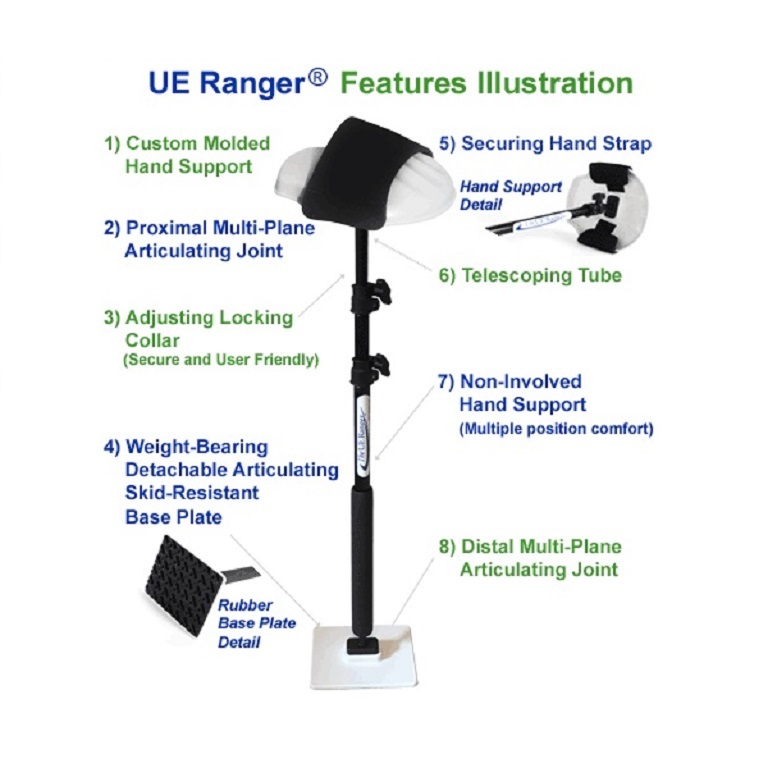 UE Ranger movement system with wall mount for clinic settings. 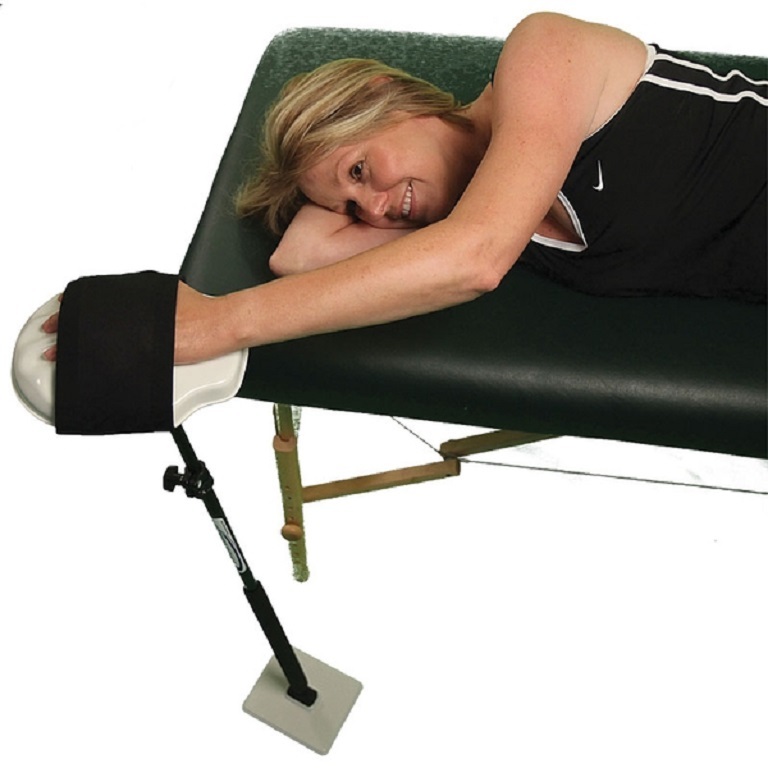 The UE Ranger Clinic Movement Health System combines the upper extremity exercise aid with a wall mount support for clinic settings. 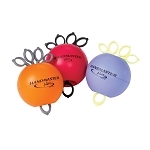 Therapists will find this model is ideal for closed kinetic chain rehabilitation exercises and helpful for improving range-of-motion, strength and functional coordination. 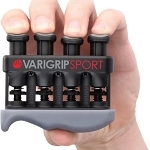 The UE Ranger assistive-motion device facilitates multi-plane biomechanics and graded progressions of motor activity to help improve upper extremity function, ROM and endurance. 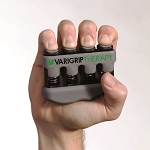 Therapists will find this device easy to use and helpful for rehabilitation for orthopedic or neurologically impaired shoulder or upper extremity. 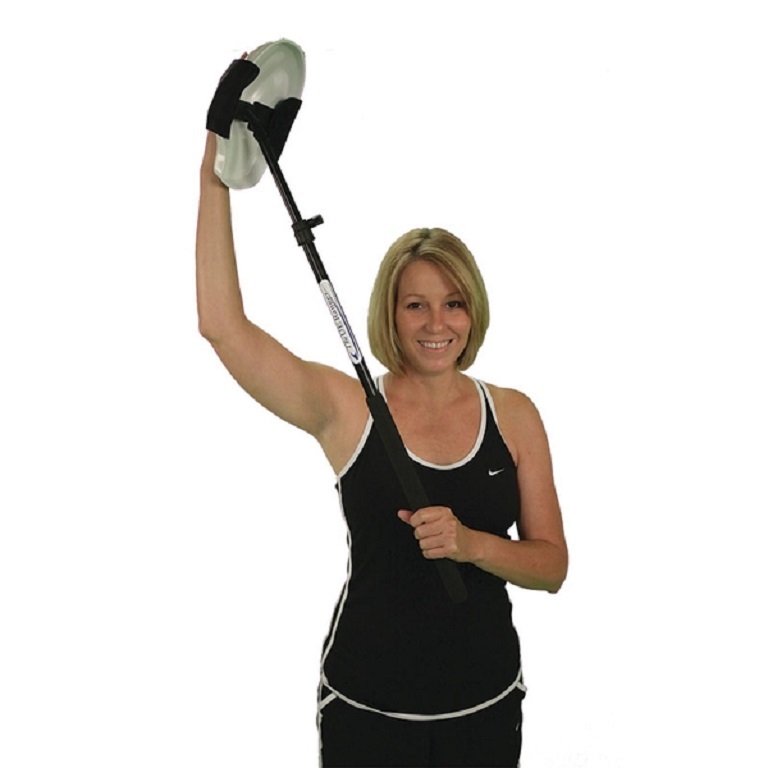 With a combined open and articulating hand support, the UE Ranger requires no gripping like the traditional assistive motion devices such as pulleys, canes and finger ladders. 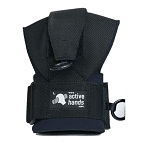 The progressive exercise system includes a custom molded hand support with neoprene strap, a telescopic tube with a joint under the hand piece, a distal multi-plane joint mounted to a skid-resistant floor base plate, step-by-step instructions, and a wall mounting system. 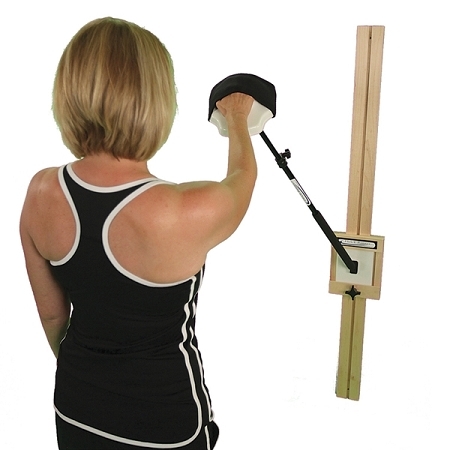 The Wall Mount System increases the functionality of the UE Ranger by supporting a sequence of closed-chain applications for rehabilitation of an impaired shoulder or upper extremity. 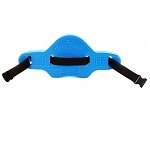 The wall mount system is designed to facilitate and challenge the user to produce functional movements using closed-kinetic-chain techniques. 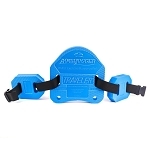 The stylish wall mount tracking frame mounts easily to most walls and allows the base adapter to be secured in any vertical position. 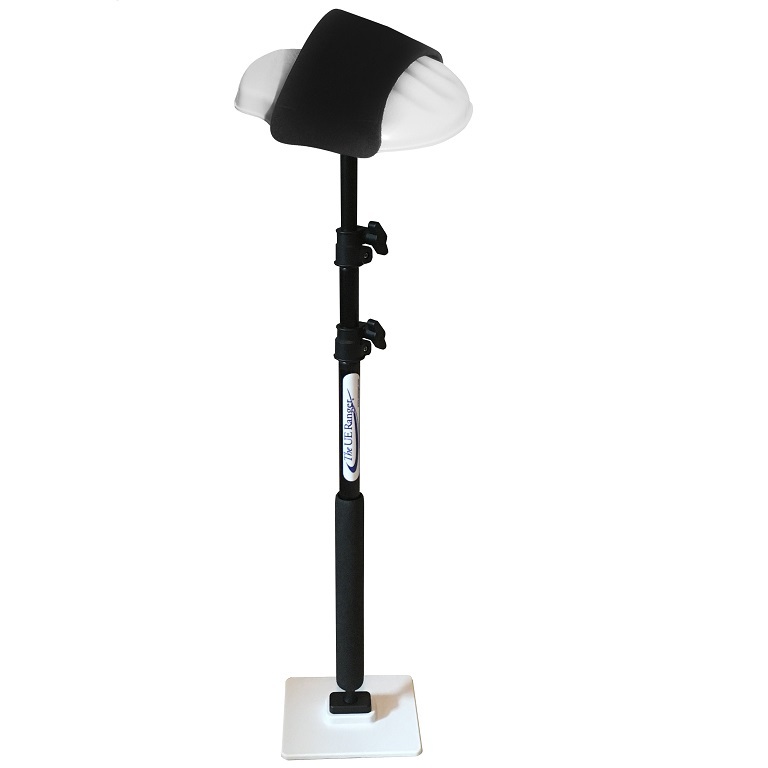 The base of the UE Ranger quickly secures to the wall mount for a smooth, effortless transition during treatment sessions. 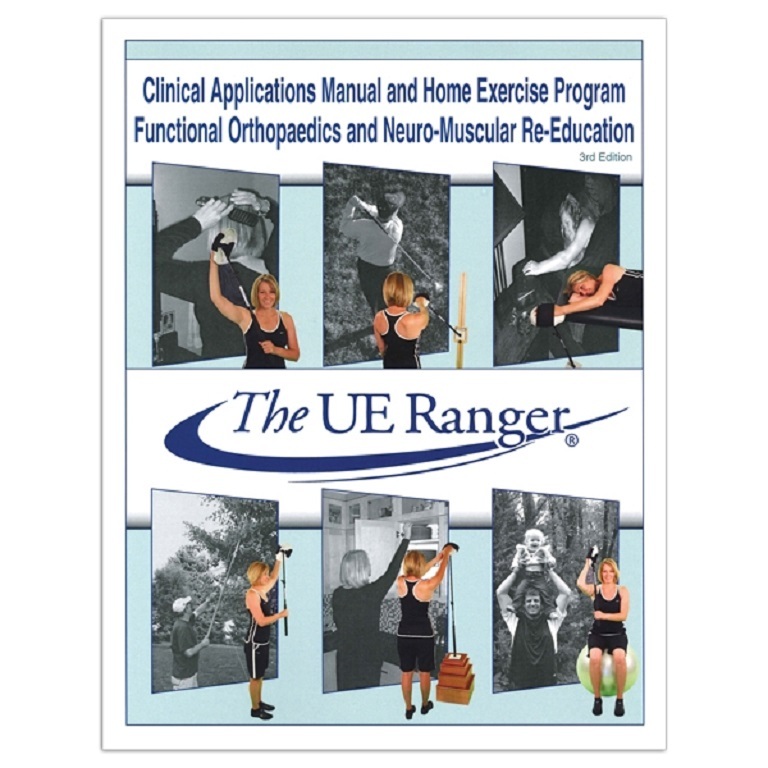 The UE Ranger Wall Mount System is the ideal upper extremity rehabilitation aid for users to perform open and closed chain exercises, active, active assisted or passive assisted range of motion for post-op and chronic pain. 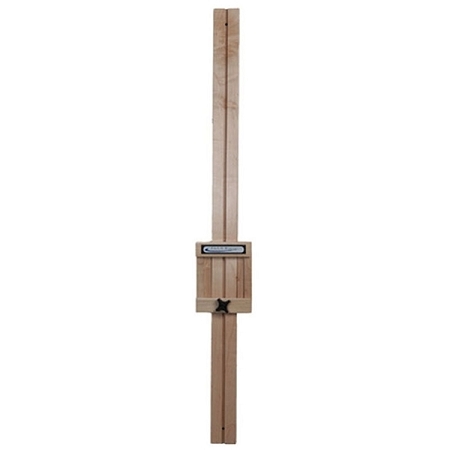 The UE Ranger Wall Mount System includes the UE Ranger and the UE Ranger Wall Mount tracking system. 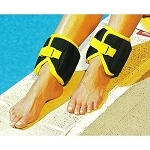 Includes: UE Ranger, Wall Mount Tracking System, Clinical Applications and Home Exercise Program. 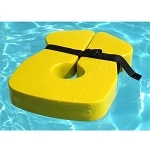 Measures: 58 inches long, 8 inches wide, 4 inches high overall.